After the retirement of the veteran Tommy Younger in 1962, Don Revie signed Brian Williamson from Crewe Alexandra as cover for Gary Sprake, a role he filled admirably until he left Elland Road in early 1966. It was a thankless task and Williamson only played eight first team games in that time because of the brilliance and consistency of Sprake. Williamson's early playing days were spent at Seaton Delaval in his native Northumberland before he moved to nearby Gateshead in October 1958. He played 55 League games for them over the next couple of seasons before the Tynesiders were unsuccessful in a re-election bid in 1960. Williamson consequently joined Fourth Division Crewe Alexandra in July of that year. He had an exciting couple of years at Gresty Road, helping the Railwaymen defeat Chelsea 2-1 at Stamford Bridge in the FA Cup in 1961. Alex manager Jimmy McGugan said afterwards, "We haven't a single weak link in the team. Every man played well on Saturday, particularly Brian Williamson in goal." Crewe lost 5-1 to Spurs in the fourth round, but the goalkeeper had another inspired game, with the Times reporting: "The goalkeeper's flying saves captured the hearts of the 53,000 spectators, He earned the accolades most just before half time, when three times his hands got to shots from the rampaging attack that seemed certain to score." On 3 December 1962, Don Revie tabled a bid of £6,000 for the highly rated goalkeeper. Within half an hour of arriving at Elland Road for talks, Williamson had signed a contract, so excited was he at the prospect of joining the Second Division club. 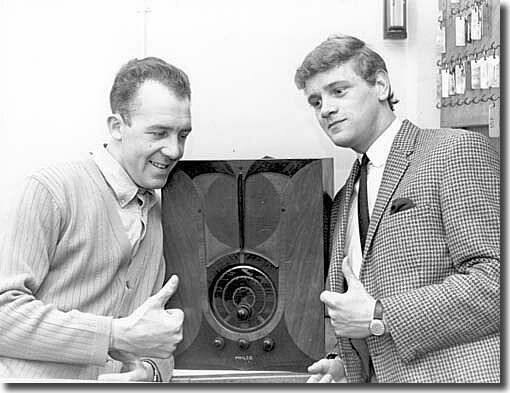 His United debut came on 30 March 1963 in a 3-0 defeat of Grimsby. Richard Ulyatt wrote in the Yorkshire Post, "Perhaps the most satisfactory feature was the first team debut of Williamson, whose goalkeeping lapsed from the excellent only once, and then Hunter was on hand to kick Rafferty's shot off the line." The keeper retained his place for the next two games: after the 1-0 defeat of Scunthorpe the Evening Post's Phil Brown reported on his "absolutely brilliant display." The run of clean sheets was spoiled by the 3-1 reverse at Plymouth on 6 April. Williamson's only game in 1963/64 came in a 2-2 draw at Swindon in January when a frozen pitch led to some uncharacteristic mistakes and hesitation on his part. 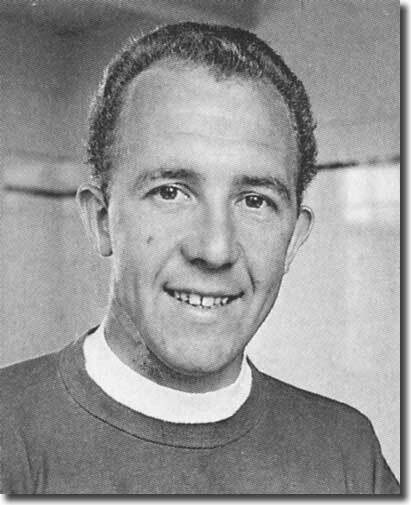 In September 1964, Williamson asked for a transfer because of a lack of first team opportunities; he did manage three appearances over the following couple of months, though his displays were reportedly a little shaky. Williamson was rushed into hospital in April 1965 with a perforated ulcer. He remained desperate for a move away from Elland Road, even turning down a substantial wage increase in order to secure a deal. In the summer of 1965, United signed another goalkeeper, also confusingly named Williamson (Bob from Barnsley), to ensure they had the necessary cover if Brian moved on. Brian Williamson's final United appearance came on 22 January 1966 in a 6-0 FA Cup victory over Bury, when he was little troubled; the following month he signed for Nottingham Forest in a £5,000 deal. At the City Ground he was again a reserve, this time to Peter Grummitt; unable to break through he went out on loan to Leicester in August 1967, making 6 League appearances for the Foxes. When he returned to Forest, he played another 19 games, including a 1-1 draw at Elland Road in March 1968. In December of that year, Williamson signed for Fulham in a £10,000 deal. The Cottagers were in deep trouble in the Second Division relegation zone at the time and Williamson could do little to help them avoid finishing the season bottom. The Cottagers conceded 98 goals and Williamson had the poorest average of three Fulham keepers that campaign, giving away an average of 2.4 goals a game. Williamson was forced through injury to retire in September 1969 after twelve appearances for Fulham; he then took up employment as a security guard. He later emigrated to Australia and settled in Erina, New South Wales.